Volkswagen stated on Thursday it would no longer produce its Beetle compact car next year, ending a model that appeared backward to the 1960s counterculture as the automaker plans for a leap toward a future of mass-market electric vehicles. The original VW Beetle, developed in the 1930s, made a journey from a product recognized with Adolf Hitler to a symbol of Germany’s rebirth as a democratic, industrial powerhouse following World War Two. In the 1960s, the Beetle used to be a small-is-beautiful icon of the postwar baby boom generation. The automaker discontinued U.S. sales of the “bug” in 1979, but kept producing it for Mexico and Latin America. 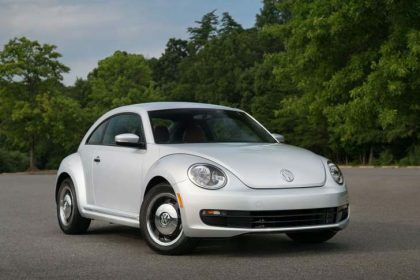 In the mid-1990s, at a time when Volkswagen was having hard time to rekindle sales in the United States, then-Chief Executive Ferdinand Piech pressed to revive and modernize the unique Beetle design pioneered by his grandfather, Ferdinand Porsche. The outcome was a crescent-shaped car named the “New Beetle,” released in 1998, which provided playful touches such as a built-in flower vase. The New Beetle was a hit in its early years, with sales of over 80,000 in the United States in 1999, but these days the car’s U.S. sales are having hard time together with most other small cars. Overall, the automaker has sold about 500,000 Beetles worldwide since 1998, the company stated. Volkswagen sold an estimated of 11,151 Beetles in the United States during the first eight months of this year, falling 2.2 percent from the same period a year ago. 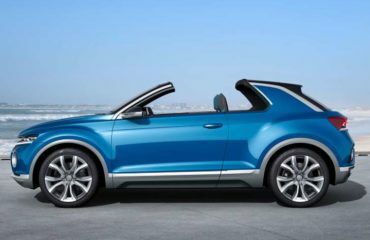 U.S. customers looking for a small Volkswagen vehicle overwhelmingly select the Jetta sedan, or a Tiguan compact sport utility vehicle. The Jetta, Tiguan and Beetle are constructed for North America and other markets at a factory located in Mexico.